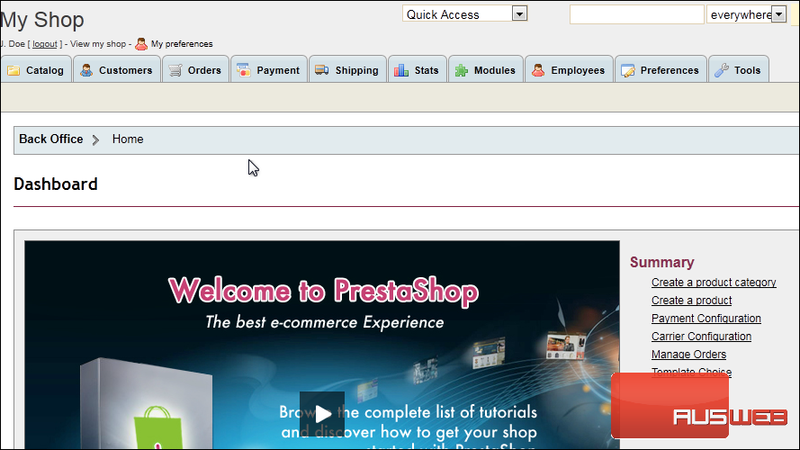 PrestaShop allows you to setup and use several different shipping methods. 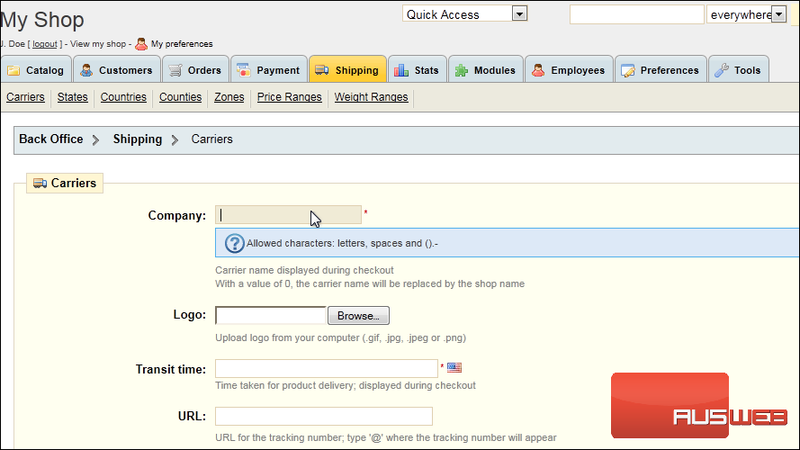 4) Type the carrier’s Company Name. 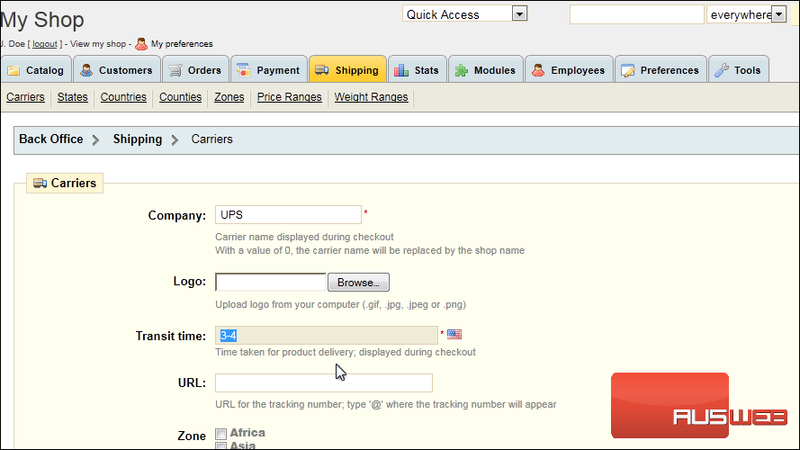 5) Next to Transit Time, enter the time taken for product delivery. 6) Set the zones where this carrier is to be used. 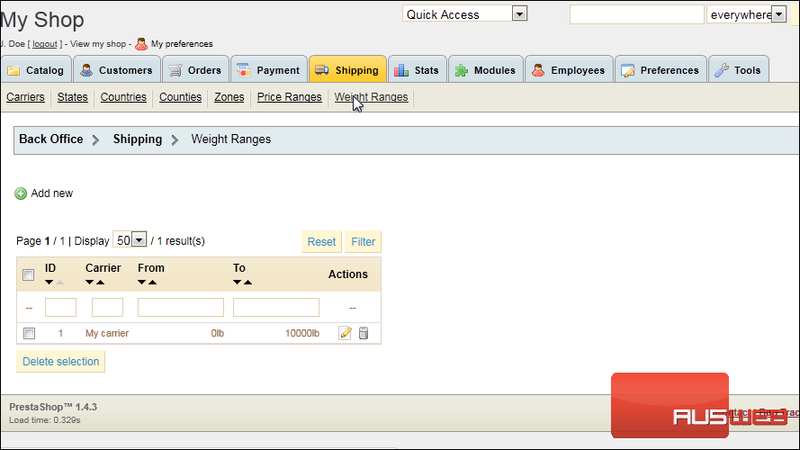 After you have added the carrier information, there’s two more steps that need to be taken for the carrier to be available to the customer. 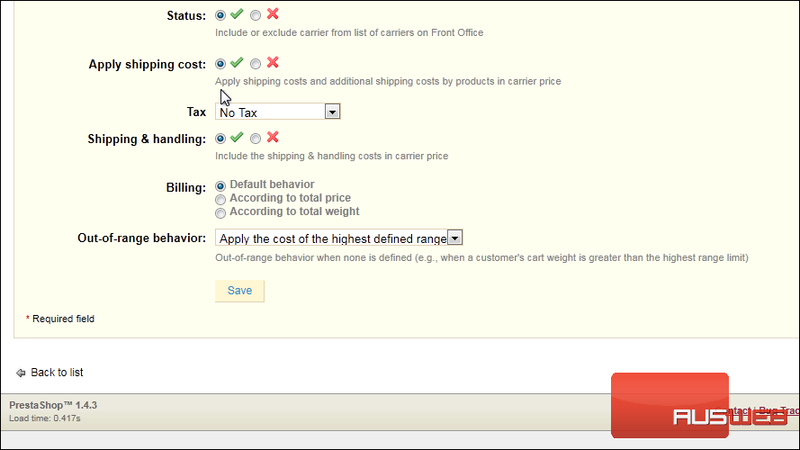 First, choose to set either a price range or weight range in which this carrier will be active. 8) We’ll set a Weight Range. 10) Select the carrier we just created. 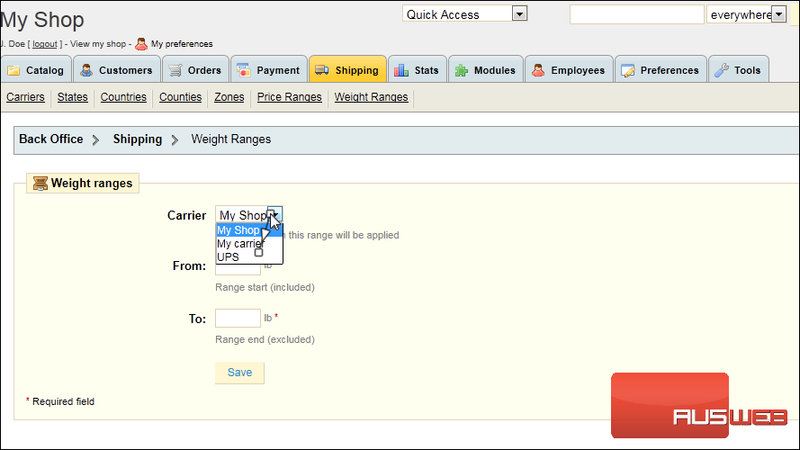 11) Type the minimum weight required to use this carrier. 12) Since UPS won’t accept packages over 150 pounds, we’ll enter that number here. 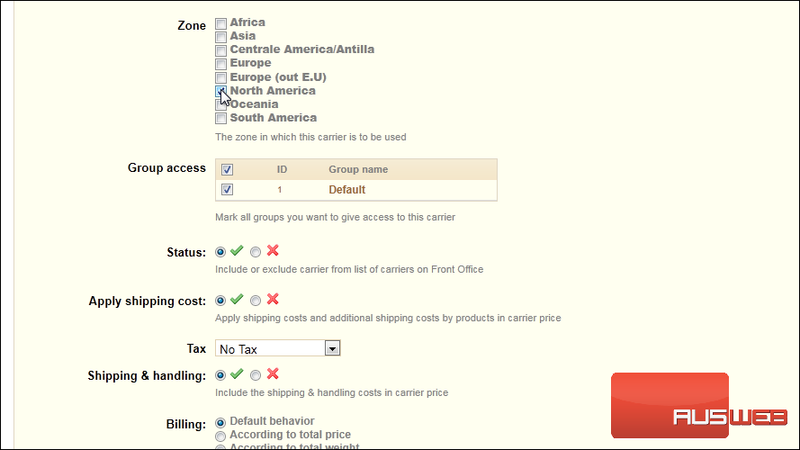 The last thing we need to do is set the fees for this carrier. 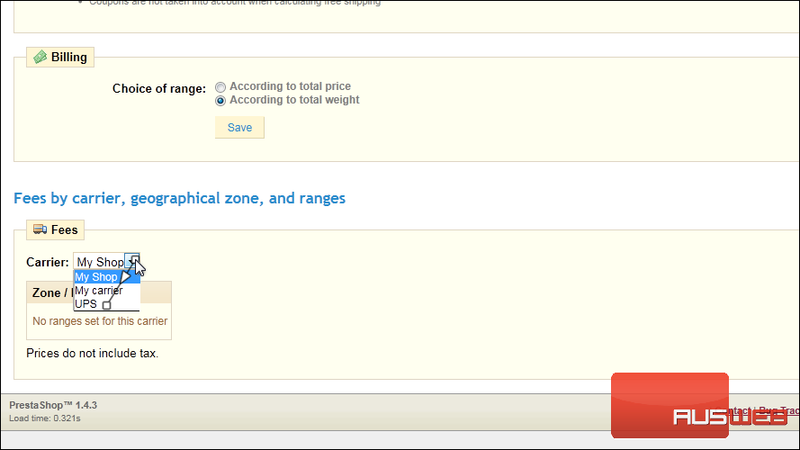 15) Scroll down to Fees at the bottom. 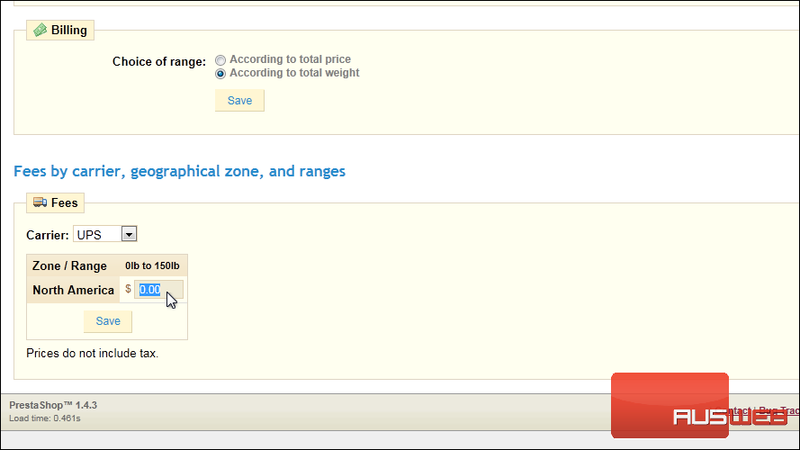 17) Enter the fee that will be applied for each zone. That’s it! 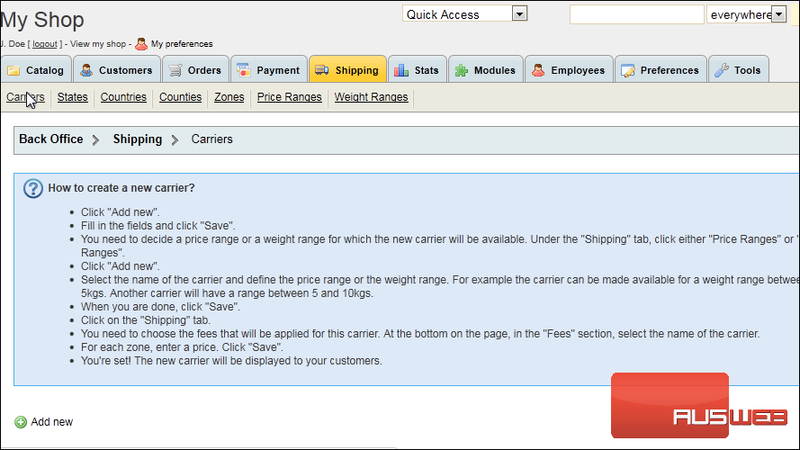 The new carrier will be available to your customers when they checkout.